“We’re looking forward to a big show on Saturday. We’ve been to this great city many times. It feels like we’ve been coming here years with Kell, starting out at the Hillsborough Leisure Centre of course, travelling to the US when he beat Shawn Porter for the World title, defending his World title here in Sheffield, coming here to Bramall Lane fighting what is now probably regarded as the number one 147lbs fighter in the World in Erroll Spence in front of 25,000 people – it was a great night of boxing. “Seeing him today, I think he looks fitter, healthier, chirpier and more excited than I’ve ever seen him in his career so far. A fit, hungry and healthy Kell Brook is a very dangerous fighter. I believe that we’re going to get a fantastic performance from him on Saturday night. “We spent a lot of time here in Sheffield back in the late 90’s with the likes of Prince Naseem Hamed of course, Ryan Rhodes and our own Johnny Nelson. Kell Brook was just a young kid then coming through. It’s fantastic to see how he’s developed over the years. This is a wonderful fighting city, I’m really looking forward to being back here on Saturday night, it’s a great December with New York next week for Canelo vs. Rocky and then Whyte vs. Chisora at The O2 – a pre Christmas cracker. “It’s a huge opportunity for me and the team. Kell Brook has done a lot of great things for the sport. We know it’s going to be a great fight but we’ve come prepared. His name is a World title to me. No stone has been left unturned, he’s just a man. He’s got two arms and a head and he bleeds red. The best Michael Zerafa is going to be there and it’s going to be fireworks. “I need someone to come and really try to take my head off. A lot of people want to take my head off because I look like an arrogant guy. I’ve got a switch when I go into the ring, I’m a different man in there. I’ve got a lot of respect for David Avanesyan. It’s four weeks since my last fight, it has been a quick turn around. I’m feeling fresh and relaxed, I feel nice. “This is a big fight for me. I like this fight, I want this fight, I’m hungry. I’m ready for this fight. I will do my best, everything is good. “I need to be in with people that will test me. This Frenchman is very experienced. I hope he is up for a war because us Irish love to go to war. I’m ready for anything. I’m looking to impress, I don’t want to just win this fight – I want to impress and I’m going to show the little peanut head Tevin Farmer that I’ll eat him alive when his time comes. “I truly believe that the only person that could test me to my limits would be someone like Gervonta Davis. That would be a dog fight, me and him going head-to-head. That would be a war, you’d see the true Jono Carroll go to war. “It was a good win out in Boston, he was a tough kid. I did everything that I had to do in that fight to win. Hopefully on Saturday I’ll get this kid out of the way and then I’ll be ringside watching Frampton and Warrington on the 22nd. “I can’t wait to get out there now, it’s been a long training camp. I’m starting to finally feel myself in the pro game. Before I turned pro I had a good year and a half off with injuries and sorting a promotional deal out but now I’m in the best place in the World at Matchroom Boxing. I feel amazing, it’s a little step up against Jay Carney this weekend and I’m looking forward to showing what I’m made of. 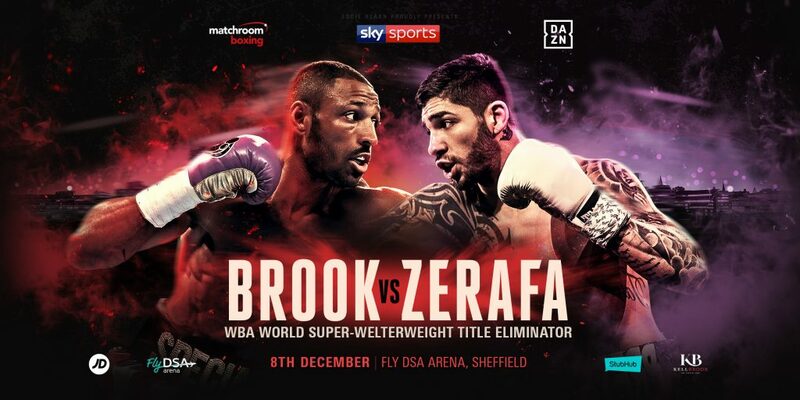 Michael Zerafa has accused Kell Brook of overlooking him and says he’ll thrive off the underdog status when they clash at the FlyDSA Arena in Sheffield this Saturday, live on Sky Sports in the UK and DAZN in the US. Zerafa, 26, is a former Commonwealth Super-Welterweight Champion and has secured 14 of his 25 wins via knockout. He has lost just two of his 27 professional fights, including a stoppage loss to former WBO Middleweight ruler Peter Quillin in 2015. The Melbourne fighter admits that former IBF World Champion Brook is another step up in class but says he is ready for whatever the Sheffield star throws at him. “I’m really up for this fight, I’m in the best condition of my life,” said Zerafa. “Halfway through the first round Brook and his team will realise they’ve underestimated me. “I’ve got two losses on my record but that was years ago. I was a kid back then and very inexperienced. Now I’m a more complete fighter, more power, more speed & more boxing IQ. “I respect Kell Brook, he’s a great fighter and he’s been at a higher level than me for longer, but that’s exactly why he’s looking past me. I’m going to make a lot of people eat their words. 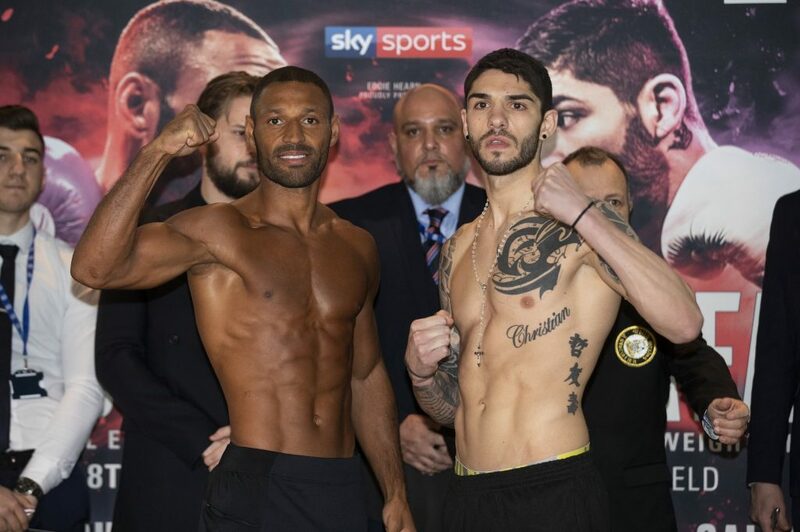 Brook’s clash with Zerafa tops a huge night of boxing in the Steel City. 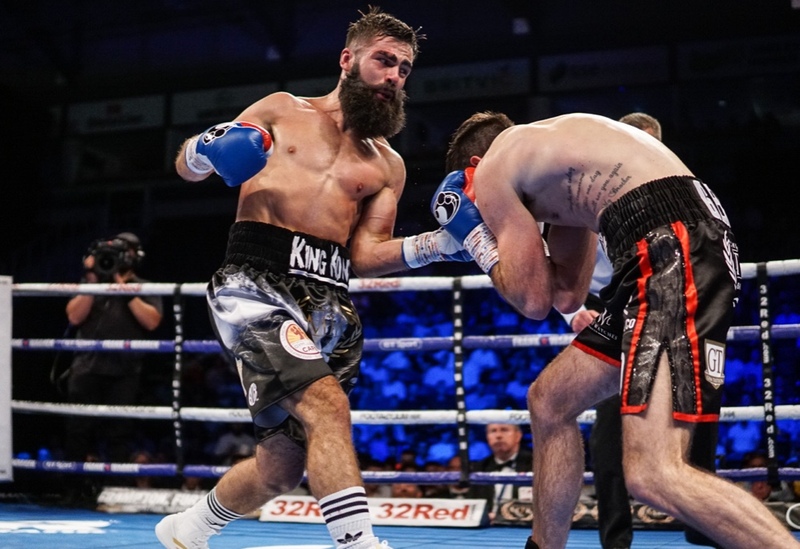 Unbeaten Irish star Jono Carroll faces French former European Champion Guillaume Frenois in a final eliminator to become mandatory challenger to IBF Super-Featherweight World Champion Tevin Farmer. 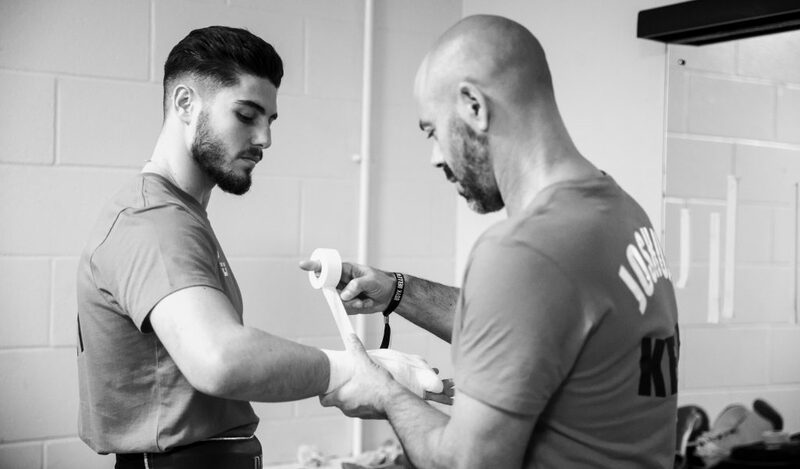 Rising Welterweight star Josh Kelly steps up in class as he takes on former WBA World Champion David Avanesyan in his ninth professional contest. Explosive Liverpool Super-Welterweight Anthony Fowler is in title action as he targets a showdown with newly-crowned British Champion Ted Cheeseman in 2019 and IBF no.1 Featherweight contender Kid Galahad stays busy with an eye on the winner of Josh Warrington vs. Carl Frampton. Sheffield is well represented on the undercard with Welterweight Anthony Tomlinson, Super-Middleweight Callum Hancock and Middleweight Shakiel Thompson all in action, while Leeds Super-Bantamweight Qais Ashfaq and Denaby Lightweight Terri Harper also feature. Jono Carroll has branded IBF Super-Featherweight World Champion Tevin Farmer a ‘joke of a man’ ahead of his final eliminator clash with Guillaume Frenois at the FlyDSA Arena on December 8. The unbeaten Dublin star can win the right to challenge Farmer by overcoming France’s former European Champion Frenois next Saturday, live on Sky Sports in the UK and DAZN in the US. Farmer took aim at ‘King Kong’ on Twitter this week, promising to KO the former Prizefighter winner should they ever meet in the ring. A major money fight with Farmer is within touching distance and Carroll believes the American is only keeping the IBF crown warm for him. “Tevin is an idiot, he’s a joke of a man,” blasted Carroll. “He gives backhanded compliments to his previous opponents that he’s beaten. He does a lot of immature things. He hasn’t got respect for anybody. He’s a fake person. “All that flashiness is ridiculous. He does my head in as a person. He’s not a true Champion, he doesn’t hold himself like a Champion and he doesn’t behave like a Champion. “I can’t wait to put him on a platform and smash him up. I’ll show everyone that he’s nothing but a heartless little b*tch. I’m going to tear him apart. I’m as real as they come but I’m a fighter, I’m a warrior. “I’ve seen him quit before in the past. I’ve watched his fights where he was beaten. Even the commentators said that he looked to the referee for help. If you’re once soft, you’re always soft. “For me, he hasn’t got a heart. He’s just had opponents smartly picked for him at this stage of his career and the ones that weren’t smartly picked for him smashed him up and beat him. Despite the heated back and forth with ‘American Idol’ on social media, Carroll remains fully focused at the task at hand and insists he is not overlooking 47 fight veteran Frenois. “I don’t know too much about him,” admitted Carrol. “He’s experienced, that’s as much as I know. He’s experienced and in boxing you cannot buy experience. I have to be switched on and I have to be on my game. Carroll’s clash with Frenois is part of a huge night of boxing in the Steel City. Main event sees ‘The Special One’ Kell Brook take on Australia’s former Commonwealth Super-Welterweight Champion Michael Zerafa. Josh Kelly says he is on a collision course with former amateur rivaland Olympic Gold medallistDaniyar Yeleussinov. ‘Pretty Boy’ faces the toughest test of his eight-fight professional career on December 8 at the FlyDSA Arena in Sheffield when he defends his WBA International Welterweight crown against former World Champion David Avanesyan, live on Sky Sports in the UK and DAZN in the US. The North East sensation has made a blistering start to life in the paid ranks, landing his first professional title in just his sixth fight against former World ruler Carlos Molina before stopping Kris George in his next fight to earn the Commonwealth strap in Newcastle. And now the Adam Booth-protege has set his sights on the World title picture in 2019. One of the greatest amateurs of modern times, Yeleussinov defeated Kelly on the way to Olympic glory at the 2016 Rio Games, but ‘PBK’ feels he has made a smoother transition to the pro game and would be keen for a rematch with the Kazakh star when the time is right. “I’m down for the rematch with Daniyar Yeleussinov,” said Kelly. “He beat me in the Olympics but as a professional I’ve made the transition much better than he has. When’s the right time to meet? When does it make sense? Those questions are to play out but we’re definitely on a collision course. I’ll enjoy that one in particular, there’s unfinished business. 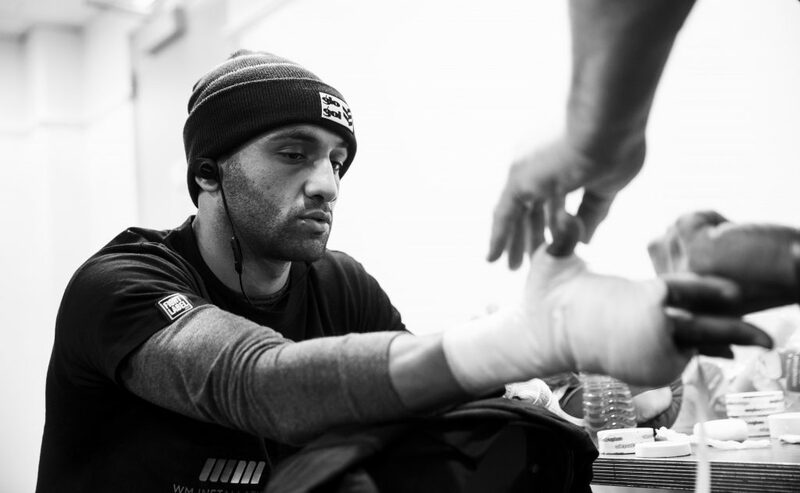 “My full attention is on Avanesyan and I’m glad to be boxing in Sheffield for the first time as a pro. I’m obviously familiar with the area from the Team GB days so it’s nice to be coming back. “Adam is moving me quickly, it’s been a short turn around since the last fight in Manchester. Avanesyan is an ex World Champion. He’s boxed Mosley and Peterson who are at the top level. I’ve done my due diligence and we think this is the right step. I’m ready to make that leap and I’m hoping he can test me. “The Welterweight division is stacked from top to bottom and that excites me and helps me to switch on to remain there for the coming years. Kelly’s clash with Avanesyan is part of huge night of boxing in the Steel City. Kell Brook says his clash with Michael Zerafa at the FlyDSA Arena on December 8 could be the final time he fights in Sheffield, as he looks to pursue career-defining fights at Welterweight. 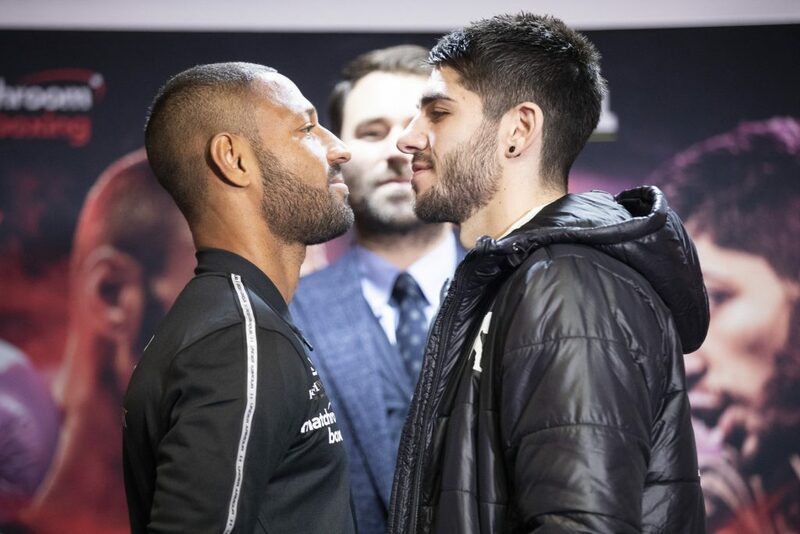 The Steel City hero is close to securing a long-awaited British battle with former two-weight king Amir Khan in 2019 and has promised to deliver a ‘blistering performance’ for his hometown fans when he takes on Australia’s Zerafa next week. Sheffield’s FlyDSA Arena holds happy memories for ‘The Special One’, with successful defences of his IBF World title against Ionut Dan Ion in 2015 and then Kevin Bizier in 2016. He was last in action in March when he swept away Sergey Rabchenko inside two rounds in Sheffield to claim the WBC Silver Super-Welterweight title and is aiming for a similar performance against former Commonwealth Champion Zerafa. 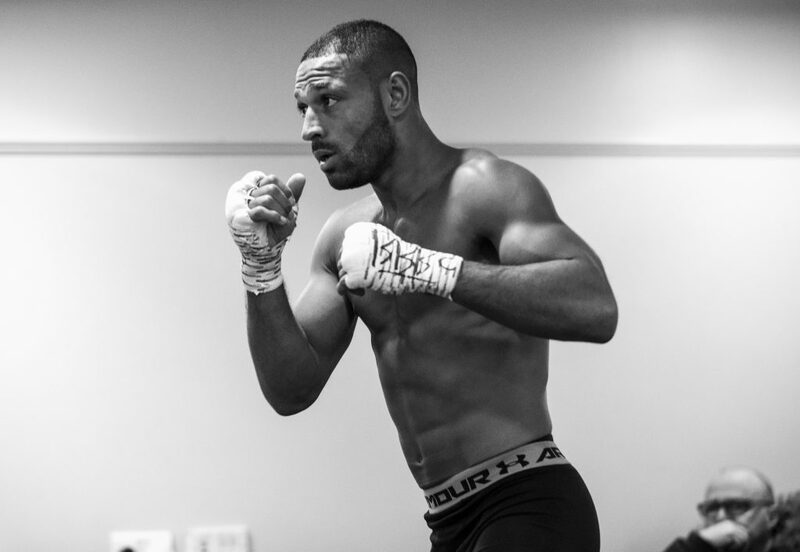 “This will be an emotional fight for me because I think this will be my last in Sheffield,” said Brook. “We hope that the Khan fight is next and after I’ve knocked him out I want the Spence rematch and it’s likely that will be in the States. “There’s other huge fights out there for me at Welterweight. Shawn Porter holds the WBC belt and there’s other big names like Keith Thurman and Danny Garcia. Kid Galahad says he wants to set up an all-Yorkshire World title battle with IBF Featherweight Champion Josh Warrington after taking the mandatory position with a win over Toka Kahn Clary at the TD Garden in Boston last month. Galahad returns on the Kell Brook vs. Michael Zerafa undercard at the FlyDSA Arena in Sheffield on December 8, live on Sky Sports in the UK and DAZN in the US, and will be keeping a close eye on Warrington’s first defence against two-weight king Carl Frampton on December 22. The 28-year-old, a former British, Commonwealth and European ruler, is rooting for the Champion to defeat the Belfast star so they can set up a tasty local derby in 2019 and aims to impress on in front of his home crowd next week. “I did what I needed to do against Clary,” said Galahad. “He was very tricky and very awkward. I was a bit disappointed that I didn’t knock him out to be honest with you. I knew it was going to be scrappy, he’s long and wiry, I had to break his spirit. I got the job done and now I’m looking forward to fighting back in Sheffield – I’ll be looking to end the year on a high. “I hope Josh gets the win against Frampton. That is a huge Yorkshire derby, Leeds versus Sheffield, that’s a big fight. Now I have the mandatory position, there’s no excuses, nowhere to run for Josh or Carl. I hope they don’t vacate the title and go elsewhere, that fight has to be made. If Josh wins I don’t think he’d vacate, but Carl might as he’s done it before, he vacated the WBA instead of fighting Guillermo Rigondeaux. Galahad features on a huge night of boxing in the Steel City.